We’re continually influenced and inspired by unique spirit of our home and our neighbors. Like so many of our friends in the Pacific Northwest, we value not only great food, but also the place it comes from and the people who produce it. 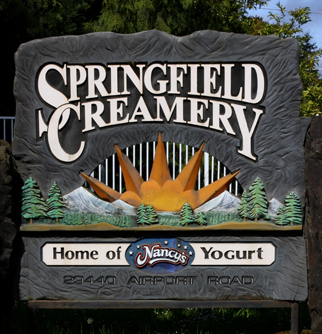 Oregon’s Willamette Valley has been called a Natural Food “hub” because so many companies got their start around here. Our community has long been unwavering supporters of Nancy’s and our family. We’re truly honored and humbled, and we try to do our part to give back by supporting causes we believe in at home and throughout the country. 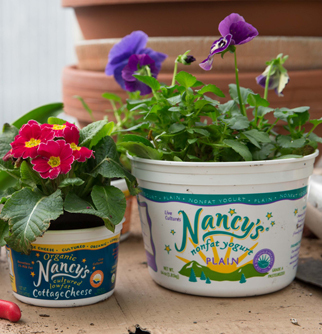 Ongoing donations of fresh Nancy’s Yogurt to our local food bank total tens of thousands of pounds annually—and we try to help other worthwhile causes where we can. From sustainable farming and organic research to cultural arts and children’s educational programs—we believe in supporting folks who are doing good work for their community and the world. If you’d like Nancy’s to support a community cause or event, let us know how we can help.